An inexpensive pedal to add some fire to your tone. 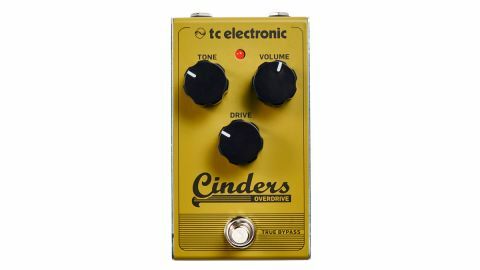 One of a range of 13 affordable pedals that TC unleashed en masse late last year, the Cinders is designed to deliver transparent valve amp-style overdrive. Juxtaposition of the volume and drive knobs lets you dial in a wide range of sounds from a clean boost up to pretty high levels of drive of the sort that might be expected from a distortion pedal. The tone knob handles the top-end, but you’ll need to tweak it at the same time as the other knobs as it’s very interactive. With plenty to suit blues players looking for bite and dirt on a budget, Cinders could get your tone smouldering.